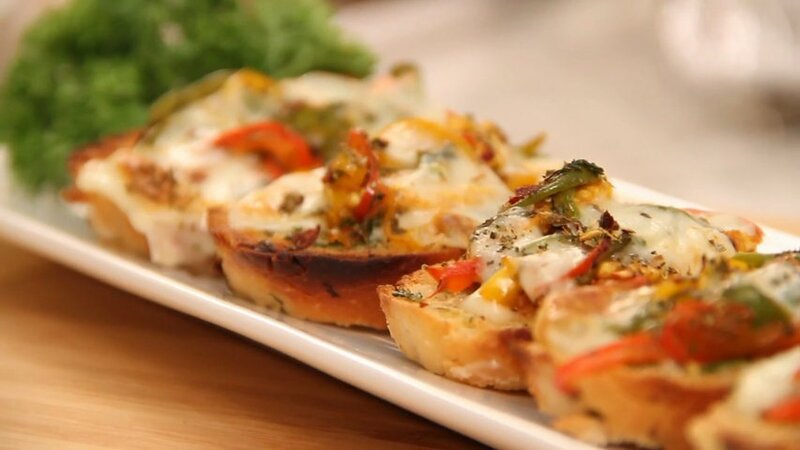 Here goes the recipe for one of my favorite and easy to make appetizer for my friends and family – Vegetable Crostini. The ingredients for this dish is easily available or probably available in your pantry right now too. 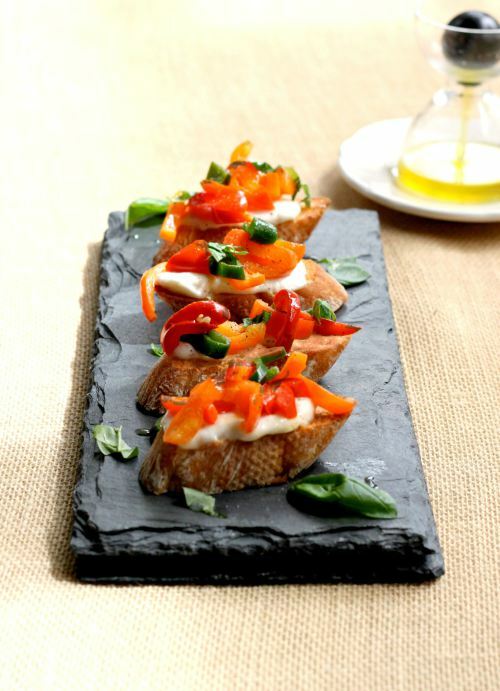 The crunch of the toasted bread with the sweetness from the cooked vegetables and the aroma of the fresh herbs all together creates a flavorsome experience. I do not follow this recipe completely especially when it comes down to the ingredients. Whatever veggies is available in my kitchen and whatever herbs are fresh in my kitchen garden, I toss those things to make crostini. So feel free to add the vegetables of your choice. My mom used to make this little wonder so that I would eat different kind of vegetables in an interesting and beautiful way. Now when I cook this for kids party, then completely enjoy it. Believe me, this is one of the quickest things you can cook when you have unexpected guests over at your place and then will simply love it. So now with the season of festivals is at its full swing and time is less for you, be sure to make crostinis and enjoy your snack time with family. In a bowl mix butter, half of the crushed garlic cloves, 5 – 6 finely chopped basil leaves and 1 tsp of dried oregano. Cut the bread loaf into thin slices. Spread this butter mix on to the bread slices. 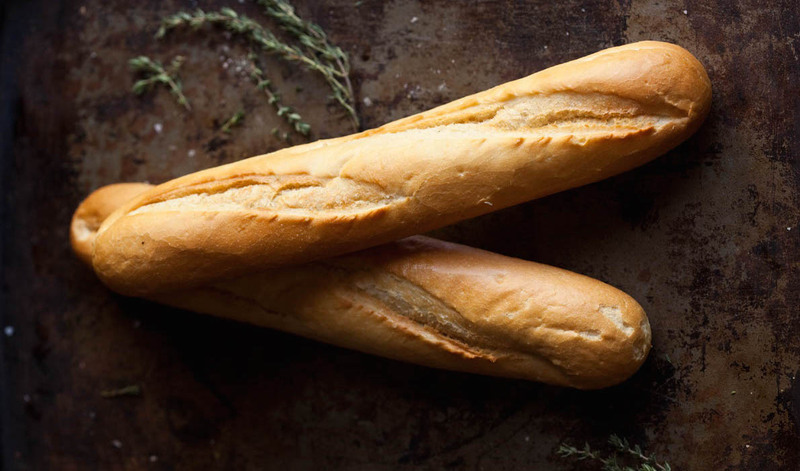 Toast bread for 5 – 6 minutes at 180 C.
Meanwhile, take olive oil in a pan and heat it. Add the remaining crushed garlic. Sauté it until it turns a little brown. Add onion and sauté it until translucent. Add the bell peppers and sauté it. Do not cook for long as it will become soggy. Add half of the tomato ketchup along with chilli flakes and oregano. Give it a quick mix. Add the corn kernels and tomato and mix well. Put in the chopped basil leaves and the remaining ketchup and allow it to cook for a couple of minutes. Add salt and crushed black pepper, to taste. Take that mix and put it on the half baked bread loaf. Put a couple of mozzarella cubes on each bread (or grated mozzarella on the slices). Bake it for 8 – 10 minutes in the oven at 180 C, until the cheese melts. Enjoy the crostini and Happy Diwali to everyone!